Built in 210 BC by the first emperor Qin Shi Huang, the Great Wall stretches for more than 5500 miles. Forbidden City (also known as the Imperial Palace Museum) was commissioned by the third Emperor of the Ming Dynasty, Emperor Yong Le. Built between 1406 and 1420, the total area of the complex is 183 acres and all together there are 9,999 1/2 rooms in the Museum. With a history of more than 2000 years and covering an area of over 23290 square yards, more than 8000 terracotta warriors and horses and more than 40,000 bronze weapons have been excavated from the 3 excavated pits in the burial site of the first emperor Qin Shihuang’s tomb. Also known as the Nine Village Valley, Jiuzhaigou is a natural reserve located in the North of the Sichuan Province. Ranked as a UNESCO World Heritage Site in1992, Jiuzhaigou is extremely famous for its mirror lake of an amazing blue color and its crystal clear waterfalls. ﻿Spectacular Three Gorges, many archaeological and cultural sites, and the largest hydroelectric power station in the world: the Three Gorges Dam. Li River is one of the most famous waterways in China. Along the riverbanks, you will see beautiful rock formations, caves, numerous hills and mountains. Zhouzhuang, Xitang, Tongli, and Wuzhen are among the top four water villages. They are typical ancient townships south of the Yangtze River delta. There is a lot more than the ancient bridges, canals, dykes and magnificent garden villas. Here ancient dwellings sit encroaching on each side of the canal that passes through the city. You will see rich and amazing history and have a feel for how ordinary people live their lives along the canal. "Ripping water shimmering on sunny day, Misty mountains shrouded the rain; Plain or gaily decked out like Xizi; West Lake is always alluring." These are the words composed by the famous Song Dynasty poet Su Dongpo (960-1127) when he compared the West Lake to Xi Zi, the most beautiful woman in ancient China. These poetic sentiments leave one in no doubt of the glory of the scenery. The number 1 reason you will like China is its cultural experience. China is a developed country that hasn't lost its flavor. You will experience both fast-paced city life and authentic ethnic tribe’s colorful culture. Of the 55 minority ethnic groups in China, Yunnan a southern province has the most 25 of them. 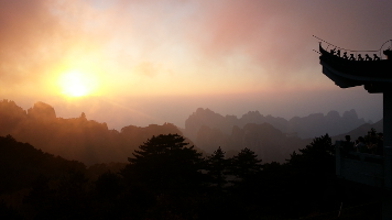 The number 2 reason you will like China is its nature landscapes. From the panoramic limestone formations in Guilin, to the gorgeous terraced rice fields in Yunnan province, to the surreal fog-covered peak in Huangshan, to China's most famous valleys - Jiuzhaigou, the snow-capped peaks, waterfalls, forests and lakes, and many mountains, rivers and grass lands will simply take your breath away. The number 3 reason you will like China is its long and rich history. The Great Wall, the longest wall built for defense, is over 2000 years old. The Forbidden City, the world’s largest palace complex built in traditional Chinese architecture, is also over 2000 years old. The Museum of Terracotta Warriors and Horses, thousands of life-size figures with individually unique faces, hair and uniforms, is grand in their elaborate design and scale. The number 4 reason you will like China is its delicious food. There are eight authentic cuisines with regional features throughout China, which are known as Anhui Cuisine（徽菜）, Canton Cuisine（粤菜）, Fujian Cuisine（闽菜）, Hunan Cuisine（湘菜）, Jiangsu Cuisine（苏菜）, Shandong Cuisine（鲁菜）, Sichuan Cuisine（川菜） and Zhejiang Cuisine（浙菜）. The varieties will surely satisfy your taste buds. The number 5 reason you will like China is its top of the line accommodations. China has the most 5-star hotels in the world by my guess plus numerous boutiques hotels, B&Bs and traditional Chinese style hotels. You will easily find a place that suits your budget and style to have a good night sleep. And of course the last but not the least, China is a safe country to visit. And the Chinese people are very friendly too. 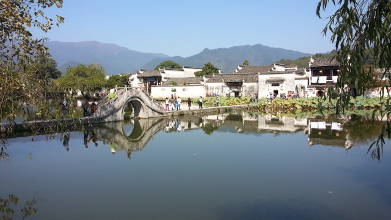 Read my sample ﻿﻿blogs﻿﻿ on Chinese people, China travel, experience and stories. Check out guidebooks and maps available at our ﻿online store﻿.